The stained glass window was destroyed in August 1940 when a German bomb fell close to St Leonard's Church, Hythe. I am trying to locate a photograph of the window also. 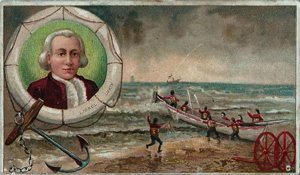 Lionel Lukin (May 18, 1742 (Great Dunmow, Essex, England) - February 16, 1834 (Hythe, Kent, England) is considered by some to have been the inventor of the lifeboat. The first boat known to embody the principles of design integral to the lifeboat was to come from France, although it was never used as such in any rescue attempt. Experiments with the boat were carried out on the river Seine, it having been fitted with stem and stern air cases, was able to remain afloat when filled with water, and could also right itself promptly when overturned. For the credit of employing these principles specifically to assist in rescue missions at sea, we must return to England. Upon the death of the third Baron Crewe in the year 1721 the Crewe Trust was established, and administered from Bamburgh Castle in Northumberland. Amongst the many early works of this charitable trust a number of initiatives were introduced for the protection and assistance of seamen. In time the Crewe Trust evolved an elaborate organisation for preserving life from shipwreck, involving many local people in readiness to assist with the hazardous undertaking of rescue at sea. So much so that the establishment of the first Lifeboat station in the world was a further development in the Trust's progress. 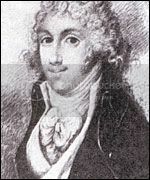 Born in Essex, at Great Dunmow in 1742, Lionel Lukin became credited with the invention of the Lifeboat after some experimentation along the French lines in 1784 with his own conversion of a Norway ?yawl? which he tested out on the river Thames, and in 1785 having received the personal encouragement of the Prince Regent, Lukin took out a patent. The boatmen of Ramsgate were most unfortunate in overlooking the opportunity they might have been given when Lukin's first patented 'unimmergible', as the boat was entrusted to a Ramsgate pilot for further testing, but the unnamed pilot, regrettably used it principally, it is suspected, for the purposes of smuggling. The features that had been incorporated into Lukin's design were a projecting gunwale some nine inches thick amidships, tapering off toward stem and stern, with a hollow watertight enclosure built into the boat for increased buoyancy. As well as the watertight boxed enclosures front and stern, he also added a false iron keel for additional weight to help keep the boat upright. Lukin's next model, made in 1786 for Dr John Sharpe, Archdeacon of Northumberland, who had asked him to convert a 'coble' by including in it, the principles of his patent. The new boat was duly dispatched to Sharpe, in Bamburgh, to serve for a number of years as the first known purpose built Lifeboat. Lukin was clearly a man ahead of his time, for despite his achievement, his appeals for the adoption of his craft, made to the then First Lord of the Admiralty and the Deputy Master of Trinity House fell resoundingly upon 'deaf ears'. 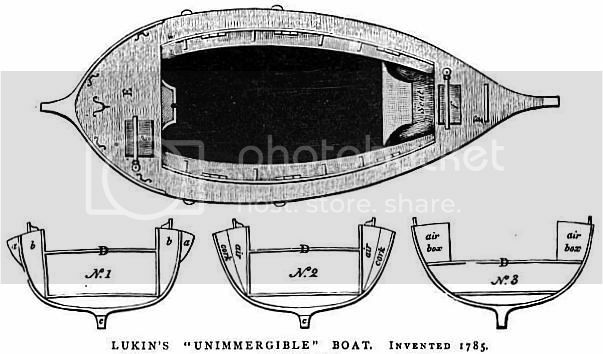 Fortunately, 'for those in peril on the sea', Lukin was not alone in his ambitions, another independent inventor, a parish clerk from South Shields, William Wouldhave, also made a claim for the invention of the Lifeboat. 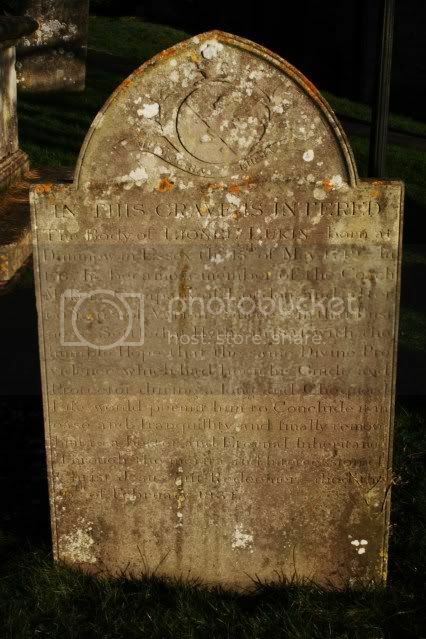 William Wouldhave, a contemporary of Lukin's, also has a claim to have invented the lifeboat. It was however Lukin who was responsible for the construction at Lowestoft, at the request of 'The Suffolk Humane Society', of a boat, which was larger than the 'Original' of 1790, being 40 feet in length with a 10 foot beam, but significantly also the first sailing Lifeboat. of Northumberland, who became First Lord of the Admiralty and a keen promoter of scientific advances, another national competition was held in 1851. Being shortly after the fourth Duke (Algernon Percy) had accepted the Presidency, he himself offered prize~money of one hundred guineas, an action which was to have a considerable influence in the further development of Lifeboat construction. The event attracted 280 entrants, out of which James Beeching of Yarmouth was to win, on the basis of having produced the most effective 'self righting' craft. He went on to construct the prize winning craft for the Ramsgate Harbour Trust, who were most satisfied with the new boat. After slight modifications, and further testing the Duke himself placed an order at his own expense for the construction of a further three of Beeching's Lifeboats. The modifications were entrusted to James Peake, and the construction carried out at Woolwich dockyard. The request made to the Home Secretary, Lord John Russell was flatly rejected under consideration of such a change being 'a departure from the general principal by which, in this Country similar Institutions are left to private benevolence.' Hilary's concern was in that the substantial funding that had lifted the Institution of onto such a good start had gradually been dwindling. This, it has been argued was for no other reason than the prevailing conditions of social unrest in the nation at that time. This, despite the greatest of efforts, combined with possible mis~management, neglect or lack of know how, in the methods required for the successful raising of charitable funds, saw a temporary decline in the Institutions fortunes. The readiness of the population to respond to disasters when brought to public attention however remained buoyant. It was under the Presidency of the Duke of Northumberland and in the first half of the 1850's that the Institution began its recovery with a number of important reforms. It was in 1854 that the Institution was renamed the 'Royal National Lifeboat Institution'. This same year under the provisions of the Mercantile Marine Fund the Committee of the Privy Council for Trade offered a government subsidy, at first amounting to £2000/~ per year on the basis of a number of conditions. This acceptance from the Board of Trade of financial assistance was considered a necessary, if temporary measure to ensure the Institution was able to continue to fulfil its primary task, and only lasted for fifteen years, being brought to a close by the Institution itself. It was at the close of 1869 that the RNLI was once again in a position to declare publicly that it no longer wished for support from the Mercantile Marine Fund and as a charitable Institution, it has not looked back since. 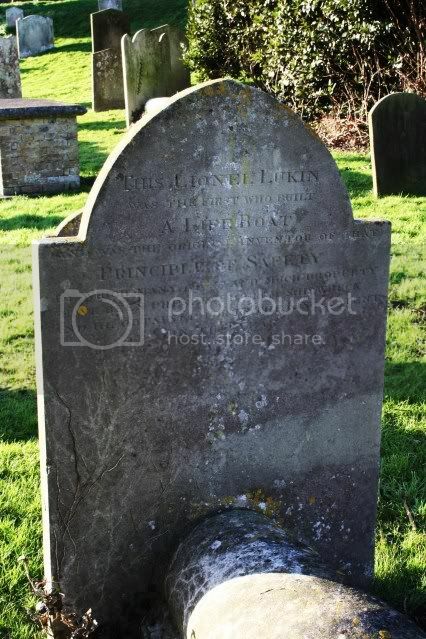 Lukin was also the inventor of the reclining hospital bed, a raft for use in the rescue of people trapped under ice, and the rain gauge.